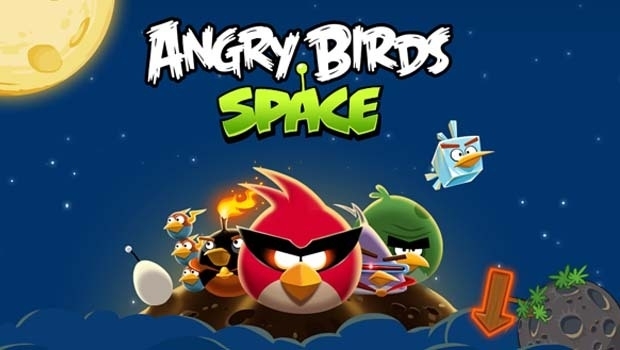 UPDATED: Angry Birds Space is another huge hit for Rovio but it won’t be bringing any help to Windows Phone, according to Peter Vesterbacka, the chief marketing officer of Rovio. He told Bloomberg Thursday that Rovio has no immediate plans to build a version of the game for Windows Phone. That’s a big slight for Microsoft (s msft) and Nokia (s nok), who have partnered together and are betting that Windows Phone can become the third main smartphone operating system after Android (s goog) and iOS (s aapl). But with Windows Phone shipments still relatively slow, there’s little justification for the expense of porting the phone to the platform, said Versterbacka. The lack of immediate Angry Birds Space support highlights the challenge Microsoft and Nokia face. They need to get sales going to appeal to app makers. But they need the apps to show off the platform. Both Microsoft and Nokia have paid developers in the past to build apps for them, but that doesn’t sway every developer. The business case needs to be there, even if a financial incentive is thrown in. I have no idea if Microsoft or Nokia offered any financial help to bring over Angry Birds Space but either way, Rovio sees a better use of its resources elsewhere. I’ve written before about the app advantage enjoyed by Android and iOS. Those two platforms account for a higher percentage of downloads of apps by users compared to their relative marketshare combined. They are known as the platforms for apps and enjoy a big lead in terms of their app library. And that makes it hard for BlackBerry (s rimm) or Windows Phone to close the distance, because developers and consumers continue to want to go where the action is. Rovio will probably change its mind at some point and support Windows Phone. It likes to be on a lot of platforms. But the boost will be more modest for Windows Phone because it will be late and will just reinforce the image that the top apps appear elsewhere first.